The metaphor “40 days and 40 nights” has taken on new meaning for me as I completed my 40th day on the Camino today. It seems like I have been walking for months, but in two days I will be standing before the great cathedral in Santiago and contemplating what this pilgrimage has all meant to my life. I realize that I may not have the full answer for weeks or months after I return home. But, I feel certain that the effects are tangible and significant – that I am changed from who I was at the start in a wonderful, inexplicable way. The Camino was good to us today, perhaps in recognition of the misery we experienced yesterday. 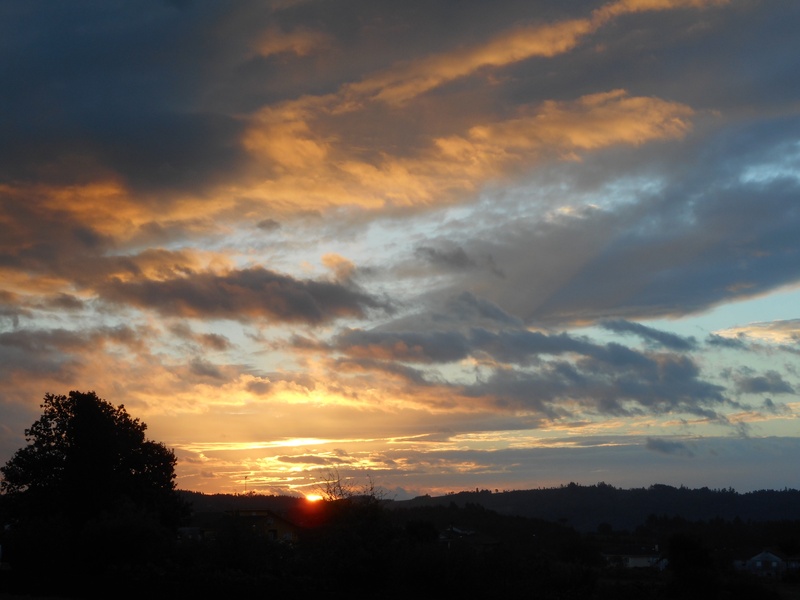 There was residual wetness from yesterday’s rains, but no new precipitation, which was a blessing. 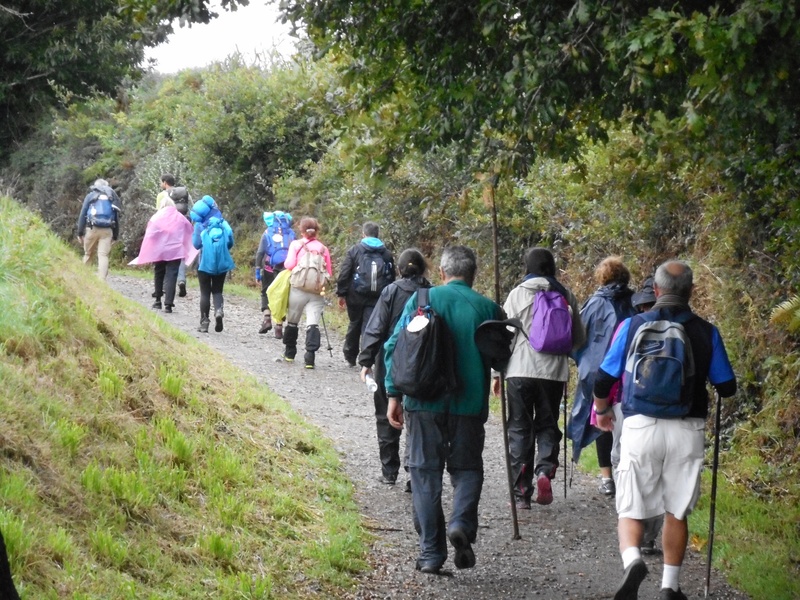 We saw a lot of new pilgrims on the trail today – a far cry from the days when I was able to hike the Camino for hours without seeing another pilgrim. We are told that there will be even more tomorrow since bus loads of pilgrims are brought in to walk the final day into Santiago. I hope it will be a meaningful experience for them as it has been for me. 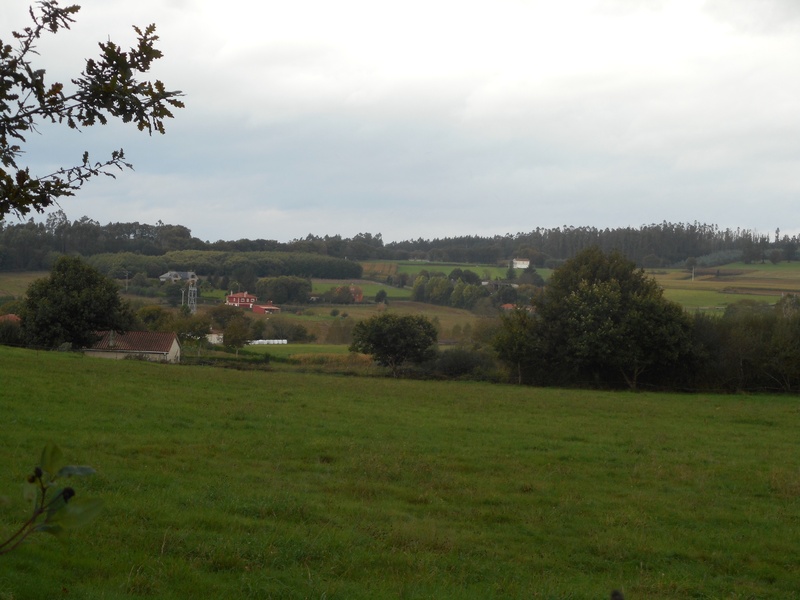 Tonight we are staying at a municipal albergue in the town of O Pedrouzo, about 20 kilometers from Santiago. We’re not certain where we will stay tomorrow night. 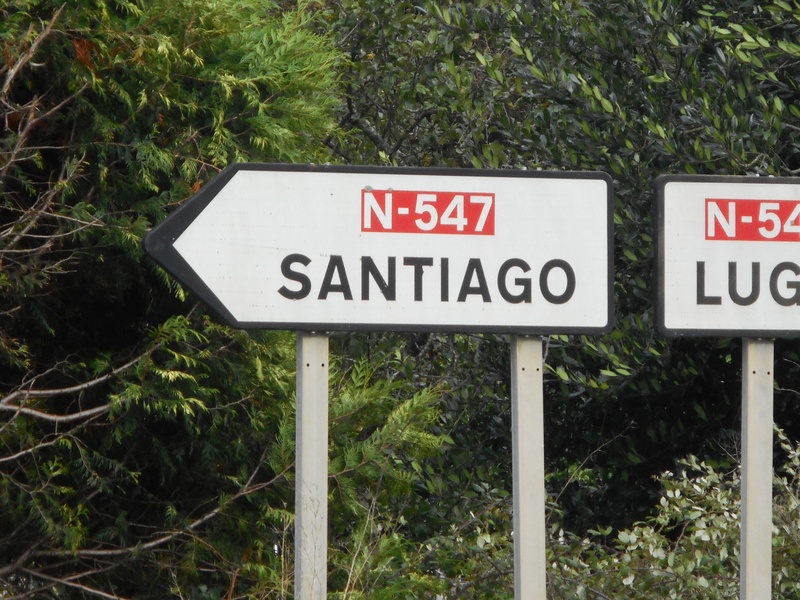 There is a large albergue (400 beds) about 5 kilometers from Santiago that looks good. But, we may choose to walk further into the city and stay at an albergue there. The reason is that we want to finish our pilgrimage on Sunday morning in time for the noontime pilgrim mass without any undo stress. We will evaluate,our alternatives as we approach the city. 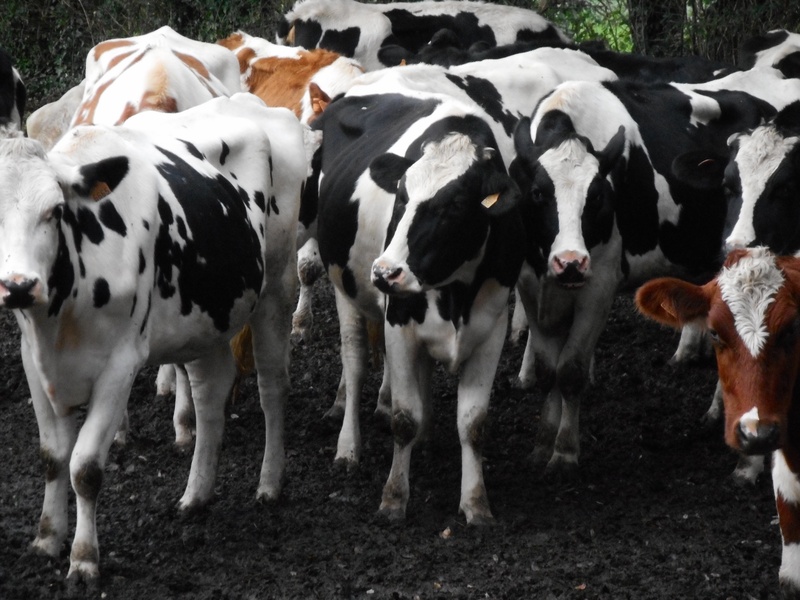 I caught some of the locals checking me out. Our approach to O Perdouzo was in large part through wooded acreage. There was quite a bit of wind as we passed through a large eucalyptus grove, which reminded me of angel wings again – perhaps cheering us on and encouraging us as we complete this six week pilgrimage. Or, maybe it was just my imagination. But, what a wonderful possibility it was. We have also been walking for days besides hundreds of chestnut trees which line the pathways. When I see the chestnuts littering the path I am reminded of the recipes we make at home using chestnuts and it makes me envious of the locals who can walk out and collect as many of these wonderful nuts as they can carry. 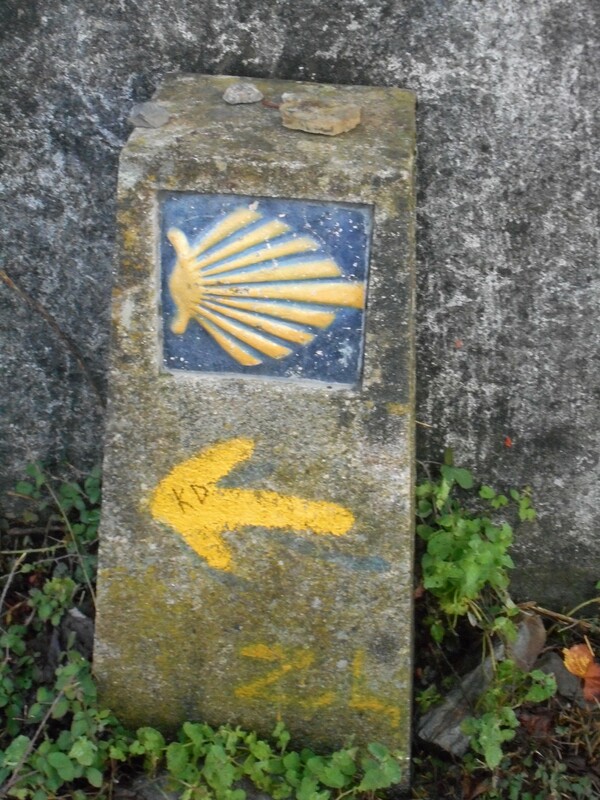 Is this, too, another Camino grace?